My oldest son, Nick, finally turned 21 this month. 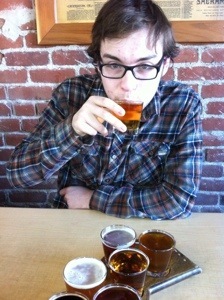 I was able to go beer tasting with him this afternoon. 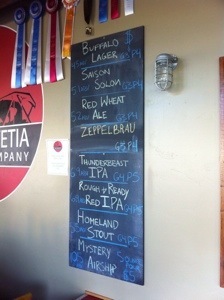 We went to New Helvetia Brewing in the Land Park area of Sacramento. I’ve been before, but this was his first time. 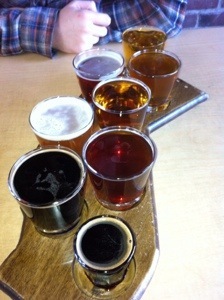 What a pleasure it was to sit down an enjoy a few handcrafted beers with my son. We talked about beer styles, music, living regionally rather than globally. It’s amazing how we connected over beer and conversation. I am really looking forward to more experiences with him (and my younger son, Tony — once he hits 21). 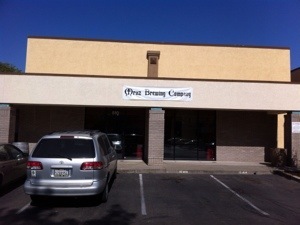 Mraz Brewing in El Dorado Hills opened its doors on May 1. I was able to try it out today. I liked what I tried. 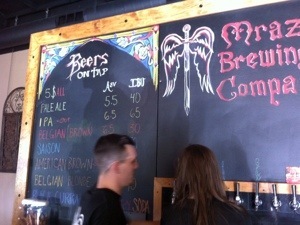 The Pale Ale was great; I also enjoyed samples of the Saison and Belgian Brown. Really wanted to try the IPA, but they ran out opening night. More IPA will be on tap in 7-10 days. No flights or growlers yet, but they’re coming soon.